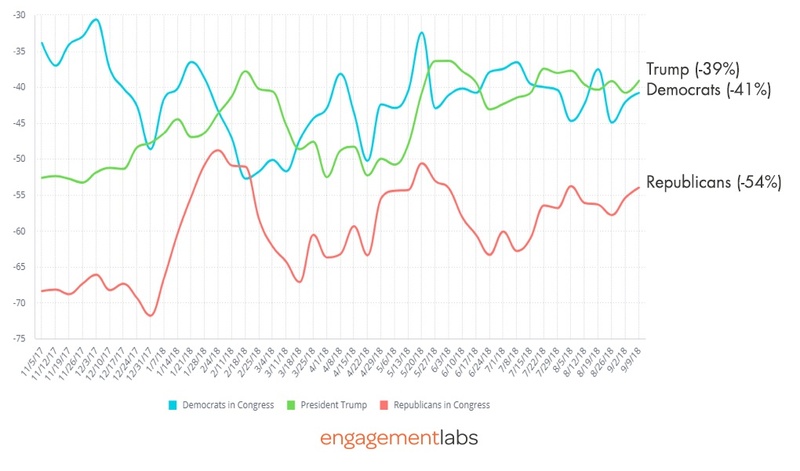 Using a methodology that helped explain why Hillary Clinton lost the 2016 election, daily conversations about President Trump and Democrats and Republicans in Congress remained similarly negative as a week earlier, with Congressional Republicans much more negative than Democrats or the President. Net sentiment for Republicans in Congress was at -54 compared to -41 for Democrats in Congress and -39 for President Trump. 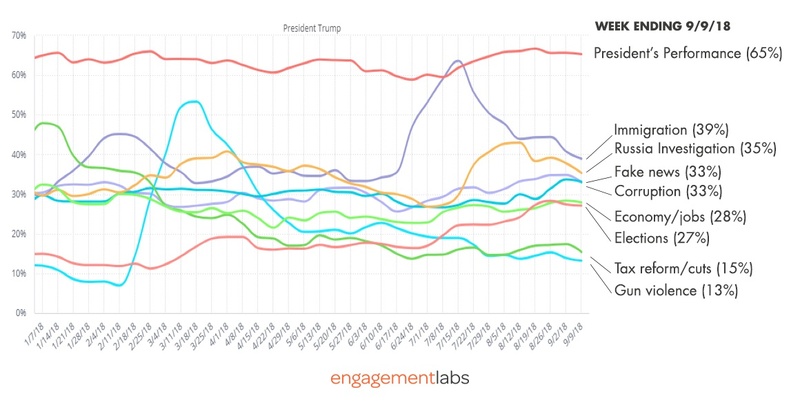 Much of the week’s news focused on Donald Trump’s performance as President, but the talk about the President was already focused on his overall performance, the topic of 65% of conversations about the President. The second tier of issues was immigration (39%) and the Russia investigation (35%), followed by “fake news” and corruption (both 33%). The economy is a third-tier issue (28%), while two issues that were once dominant, the Trump tax cuts/reform (15%) and gun violence (13%) have faded from conversation about the President. Although still low among Trump conversations at 27%, talk about upcoming elections are slowly but steadily rising. While much of the talk about politics is negative, members of each party do have positive things to say about their own members of Congress, which can be revealing about how to motivate turnout. 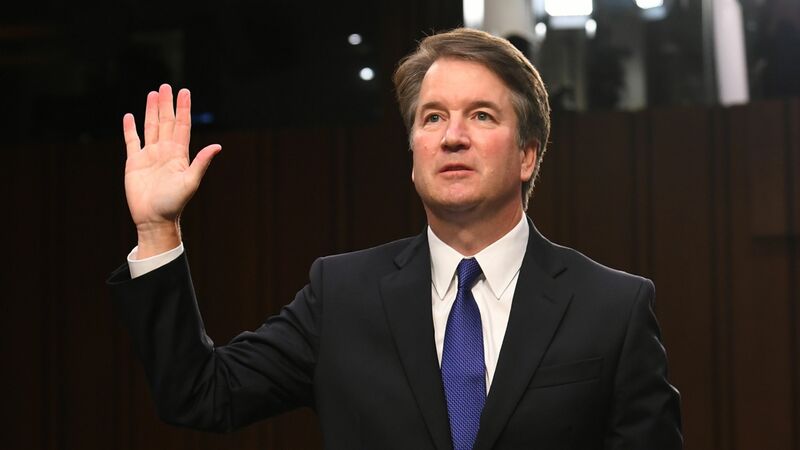 Among both parties, but especially among Democrats, the dominant topic is simply the elections themselves, now just eight weeks away. 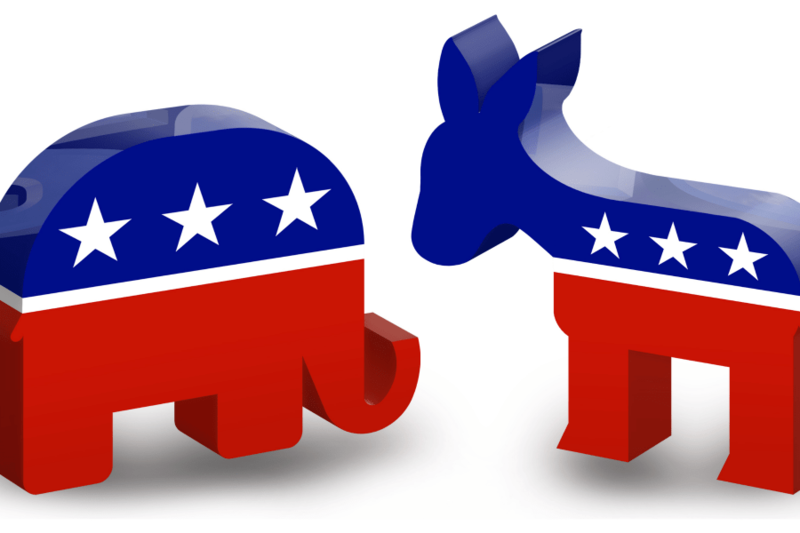 Among all positive conversations that Democrats are having about “Democrats in Congress,” the leading topic is the upcoming elections, mentioned by 48%, far ahead of a collection of second tier topics, including the Supreme Court and the President’s performance (both 27%), the Russia investigation (26%) and immigration (25%). The economy ranks surprisingly low at 22%, barely ahead of gun violence and corruption (both at 20%). On the Republican side, their leading positive conversation topics about Republicans in Congress are also about the upcoming elections, also mentioned by 48%. Closer behind than among Democrats, second tier issues are immigration (34%) and corruption (32%). The President’s performance is a positive topic in 28% of these conversations, as is the economy (26%) and the Supreme Court (26%). The Russia investigation is not frequently a positive conversation topic among Republicans, at 22%, similar to the frequency of such talk about the tax cuts (21%). Given that the biggest legislative achievement of the last term was the tax cut/reform bill at the start of 2018, and the economy continues to be strong, the infrequency of positive conversations about these topics among the Republican base is surprising. Engagement Labs conducts an online survey continuously, with weekly reports. Conversations are reported by a representative sample of American adults via survey, a day after those conversations occurred. Most of these conversations happen face-to-face, whether at home, work, or someplace else. Overall results in this report are based on 4-week rolling averages of about 2,500 respondents 18-69 years old.